For Paintball in Essex travelling from Felsted Mayhem paintball is less than 30 minutes from the centre of Felsted. We are based less than 20 minutes from Chelmsford and 6 minutes from Ongar. So if you are coming from Felsted and fancy a great day of Paintballing Mayhem should be your first choice with over 20 different playing areas for Laser tag and paintball containing props such as real world war 2 anti-aircraft guns, Russian Tanks, army lorry’s much more. With the very best in equipment provided it will be a day to never forget, amazing playing areas, facilities like no other venue, such as Showers, Brick built toilet’s, indoor heated rooms and awesome trained staff. Mayhem takes great pride in our family business which started in 1987 and is a five star UKPSF member. 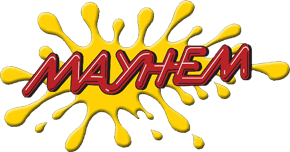 For Felsted paintballing expect no substitute, there is no better paintballing venue than Mayhem Essex.